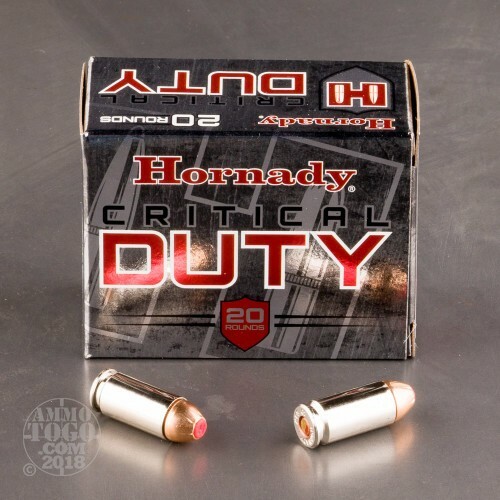 Engineered to deliver superior barrier penetration for those who prefer full-sized handguns, Hornady Critical Duty has proven terminal performance through all FBI test barriers. 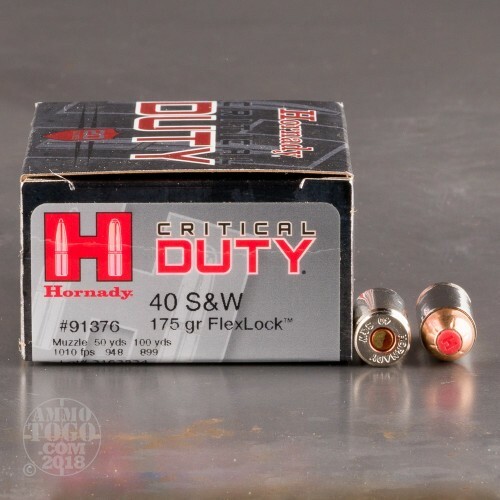 Loaded with 175 grain FlexLock jacketed hollow points, this .40 Smith & Wesson ammunition administers "barrier blind" performance when shot through a variety of tough urban barriers. Patented FlexLock hollow points are topped with a polymer Flex Tip designed to prevent clogging and aid in terminal expansion. These proprietary projectiles also feature a large mechanical InterLock band which securely fastens the copper jacket to the lead core. This design prevents core/jacket separation on impact. The result is superior weight retention for hard-hitting energy transfer. 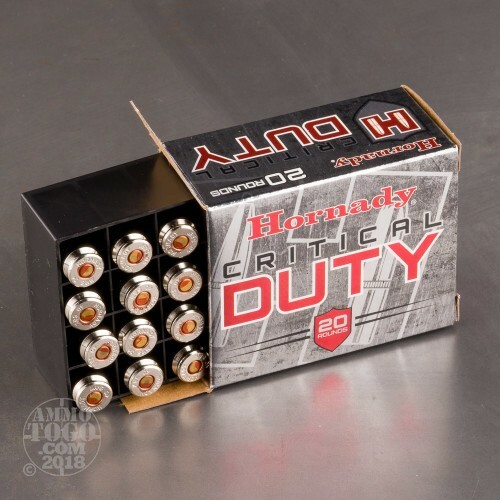 These factory fresh cartridges are 100 percent non-corrosive, boxer primed, and feature bright nickel-plated brass cases to simplify low-light chamber checks and provide smooth feeding and function. Each round is also loaded with a special low-flash propellant to help protect precious night vision. 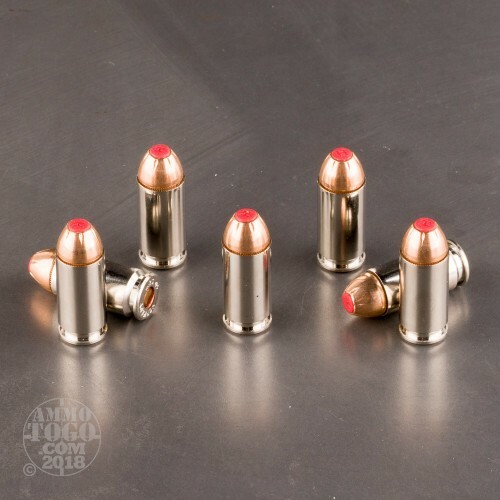 Leaving the muzzle at a velocity of 1010 feet per second with 396 foot pounds of energy, these rounds are ideal for concealed carry, home defense, and other personal protection applications. This ammunition comes packed in 20-round boxes with 10 boxes per case.